Perhaps the best way to understand the importance of the contributions of our Past Master’s is to understand the role of the Worshipful Master. 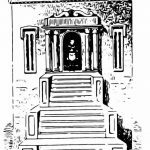 Worshipful Master – the presiding officer of the Lodge. The senior officer of a Masonic Lodge and is normally addressed and referred to as the ‘Worshipful Master’. 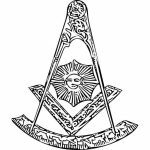 The Worshipful Master sits in the East of the lodge room, directs all of the business of his lodge, and is vested with considerable powers without further reference to the members. He also presides over ritual and ceremonies. The office of Worshipful Master is the highest honor to which a lodge may appoint any of its members. The office is filled by election, generally by means of a secret ballot. However, in most lodges, the progression is such that the post will almost always be filled by the previous year’s Senior Warden. 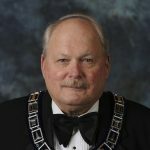 Our Past Masters have built Palestine lodge since its inception in the 19th Century and are duly honored for their contributions to the lodge and the fraternity. We owe our lodge and fraternity to this long line of dedicated brothers who have dedicated themselves to the fraternity and their brethren. Our lodge would not be here were it not for them. Charles J. Matulewicz IV GI: 2013 – 2014, 2018, W.P.S.G.S.